The calendar flipped seasons from summer to fall, and with it, race volume was noticeably down this weekend. Still, we’ve got highlights from the NorthCoast 24-Hour Endurance Run and a bunch of other races along with a quick preview of next weekend’s The Bear 100 Mile. It’s Monday, good luck out there, everyone! It wasn’t just the rare Browns football win that brought Cleveland to life this past week, but the NorthCoast 24-Hour Endurance Run turned 10, and again was the USATF 24-Hour National Championships. The course was a 0.88185-mile loop, and there was a $5,000 prize purse. 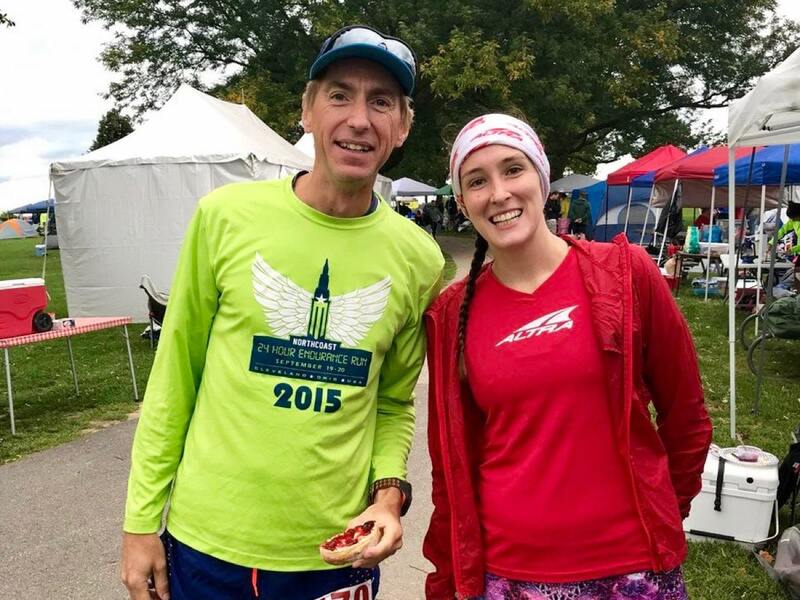 The race winners earned an automatic spot on the U.S. 24-hour team that will compete at the IAU 24-Hour World Championships in 2019, though that race’s exact date and site remains uncertain. Olivier Leblond went big with 160.497 miles, a total that ranks him 10th on the U.S. all-time chart. It was a new course record, and follows earlier 2018 wins at both the Old Dominion 100 Mile and Umstead 100 Mile. Though he doesn’t appear to have been USATF eligible, Padraig Mullins finished second with 142.378 miles. Third-place Joe Fejes totaled 130.132 miles. Megan Alvarado grabbed the women’s win with a 140.514-mile total. She too of course is now set for the U.S. team. Second- and third-place Emily Collins and Charlotte Vasarhelyi ran 123.459 and 118.368 miles, respectively. The next USATF mountain, ultra, trail national championships is the October 7 50-mile road championship at Pennsylvania’s Tussey Mountainback race. It’s peak leaf-peeping time in Aspen, Colorado, and the Golden Leaf Half Marathon takes in some of that beauty on its point-to-point route from Snowmass to Aspen. Joseph DeMoor edged Galen Burrell and David Glennon in the men’s race, all running 1:26. Demoor was 22 seconds in front of Burrell, and was Burrell was 27 seconds ahead of Glennon. Stevie Kremer won the women’s race for the seventh time, but the first time since 2015. She finished in 1:39 for an eight-minute lead. Full results. Italy’s stunning Lake Como hosted 119k (74-mile), 60k, and 31k races as part of the Marathon Trail Lago di Como weekend. 2018 Hardrock 100 winner Sabrina Stanley was there, and ran 21:22 on the long and very vertical course. She won the women’s race and was third overall. Full results (when available). Part of France’s Skyrunning national series, the La Skyrhune race goes just 21k but with 1,700 meters of elevation gain. Nico Martin (France) and Anaïs Sabrié (France) won in 2:01 and 2:15. Full results. North Carolina’s Table Rock Ultras takes over the best of the Pisgah National Forest and here, Reese Wells and Jon Ziefle dueled to 5:00 and 5:01 finishes, just 37 seconds apart. Third-place overall and first female Amanda Morris was right there too, running 5:02 and barely two minutes off the outright win. Full results. Grizzly bears forced a course reroute at British Columbia’s Whistler Alpine Meadows 110k. Finish times are still outstanding on the alternate course, but race winners were Gregory Lariviere and Marieve Legrand. Full results (when available). The San Fransisco Bay Area’s Berkeley Trail Adventure included multiple distances, but over the longest, 50k, Chris Denucci and Aryn Yancher won in 4:09 and 5:52, respectively. Full results. Michael Bursum and Colleen Lingley led the Flagstaff to Grand Canyon Stagecoach Line 100 Mile race in 16:53 and 17:56. Both times were new course records for the sixth-annual event. Tommy Rivers Puzey and Taylor Nowlin won the 55k race in 4:01 and 4:27. Puzey was just a week removed from dropping at the Run Rabbit Run 100 Mile. Full results. It took a couple tries, but Aurelien Sanchez set a new unsupported FKT on California’s 223-mile John Muir Trail. Now almost two weeks ago, Sanchez finished the route unsupported in 3 days, 3 hours, and 55 minutes. It was seven hours better than the previous unsupported best, and though it trails François D’Haene‘s supported FKT by about eight hours, it is actually the second-best time on the route regardless of support. And Sanchez’s previous attempt? He went 200 miles on the route only a week before his record-setting run. Pete Kostelnick is nearing 3,000 miles on his 5,000-plus-mile Kenai, Alaska to Key West, Florida run. He’s largely self supported (no planned outside aid), averaging over 50 miles per day, and now in North Dakota. Daily updates continue to fill his social-media account. 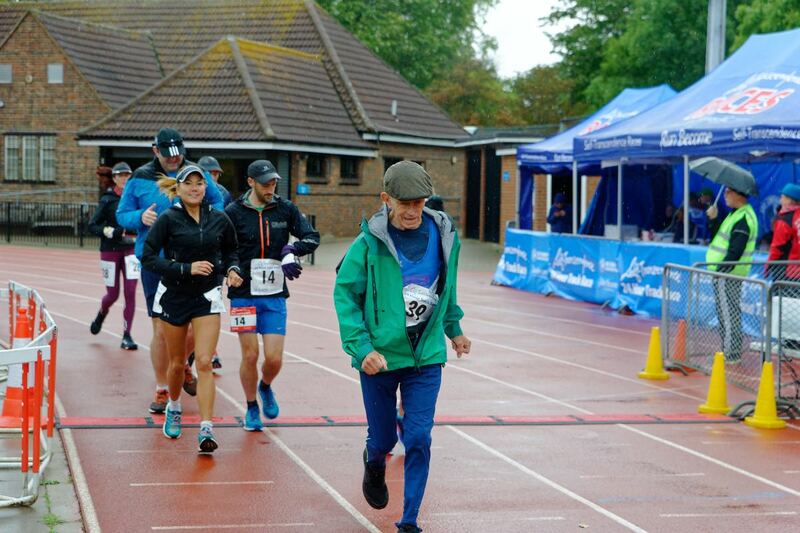 England’s Geoff Oliver became the first 85 year old to participate in and finish a 24-hour race at London’s Self Transcendence 24-Hour Track Race over the weekend, racking up 77.310 miles. It’s believed he set and established six total age-group world-record marks in the process, including 50k in 7:02:10 and 100k in 18:02:26. Full results. Low key by design, the point-to-point The Bear 100 Mile is a crowd favorite, and not just because it’s a Hardrock 100 qualifier. That looks like a lot of parity, and should make for a competitive men’s race. Anything can happen in 100 miles, but Gerbin gets the favorite nod here. That was a light column. Can we ask for a little help? We’d love to have you fill us in on the details of other races that happened in your area in the comments field below. Thanks! Great day at Noble Canyon, 12th running I think? It’s a great course though too bad it was socked in all day, as I heard the views are epic on a clear day. The event management is planning a 120km course for next year. The Georgia Jewel was also held this weekend (17 mile, 35 mile, 50 mile, and 100 mile). Meg Landymore crushed the 100 mile women’s course record with a time of 21:03, also good for first overall! It was a hot one with temps in the 90s and high humidity, but an amazing race overall. Mountain Lakes 100 in Oregon- a first 100 miler for many of the runners. Beautiful scenic course, amazing volunteers, great aid stations. Geoff Oliver, many of us can only hope we’re still active at 85, let alone cranking out world records. I tip my hat to you sir. Here’s to Hal getting those veteran legs moving for an epic showing @ The Bear! Cody Draper- 5th Wasatch 100, 2nd Red Mt 55k & Palisades 50m, 3rd Bryce 50m. I’m sure digging too deep into the entrants list for a local-ish/regional level race like the Bear isn’t a top priority when putting this weekly article together, though it is interesting to see what names do/don’t get noted. And it’s definitely fun to follow for those of us who are tuned in! A pretty quick look at the entrants list shows me a few names that are likely to be ahead of some of the names listed here, both from Utah and elsewhere, male and female. Looking forward to a super fun day following along in the Wasatch-Cache! The Woodsman, thanks for adding some more details with your local knowledge. Honestly, this is what the comments section of this article is for and we love it when local experts can fill in details on our results and previews. Thanks again! Shitinthewoods, if you’ve got more local beta, please feel welcome to leave a comment and add it. The previews here in This Week in Running aren’t meant to be of the exhaustive sort that we create for the 10 or 12 races we cover live each year. 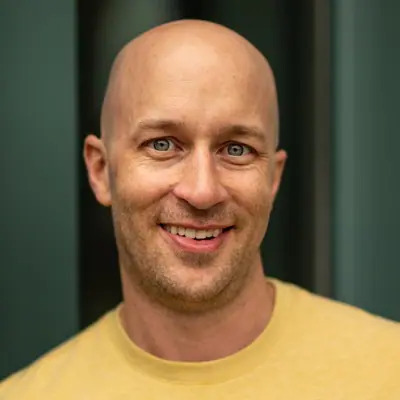 Those kinds of previews take hours and hours–to look up the names of loads of people on entrants lists that we don’t recognize and find the hidden gems of runners–and neither Justin nor I have that weekly availability. Further, TWIR would become too long with that sort of detail and this article is meant to be a weekly digest. 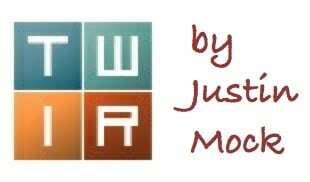 I’d say that, between the two of us, Justin and I keep tabs on a couple thousand runners for the course of a year in TWIR. We know a lot of people, but we don’t know a lot more. ;-) That’s where local intel is so helpful! Feel free to share and thanks! Meghan, I hope my comment didn’t sound antagonistic. I only intended to express my curiosity about the process. I would never expect exhaustive coverage for a local/regional level race like Bear comparable to that which you provide for those 10-12 national/world-class races each year — which I follow obsessively and thank you and the team greatly for! But that’s why I noted that the local/regional races are fun to follow for those who are tuned in to them. People around the country don’t care how the Bear 100 plays out – but lots of people in Utah do. There’s no need for national attention – people get just as excited about their own local races. That’s what keeps it exciting and engaging! A great example of this is this year’s Wasatch Front 100…it was like a mini little Utah version of UTMB (2018)! There were a dozen “favorites” for the top 5 at UTMB, and maybe 1 or 2 of them finished top 5. At Wasatch, there were 6 guys or so that I expected to be gunning for the win/podium. Only one of them finished in the top 3. And that’s so common at ultras, especially 100s! A regular/almost weekly comment to the TWIR column is an angry/deconstructive note about why we didn’t cover X race or Y person. This is unfortunate for a couple reasons, first, an easy, constructive option is to simply leave a comment with a brief description of X race or Y person. Second and third (both of which I already mentioned in my first reply), TWIR isn’t meant to/can’t be comprehensive and the frequency of these comments wears on the human beings who work hard every weekend (during a time when most people are out on adventures or having family/friend gatherings) to create TWIR. I’ll re-mention, feel free to comment with some of the locals who you think will shine. I’m sure a lot of readers will appreciate your additional knowledge, including me! Have fun at The Bear! I think it’s a great race, having paced and crewed a couple times. Thanks again for the really nice reply. The Boulder Beast 24 mile trail race was held Saturday, 9/22 in Lock Haven, PA. The race covered over 5,500 ft of vertical gain including the infamous boulder field with the view back towards the Lock Haven valley and West Branch Susquehanna river. Nicole Yocum of State College, PA finished first female and sixth overall with a blistering 4:17:52; 24 minutes ahead of second place female Meira Minard (4:41:43), also of State College, PA. Michelle Benshoff (4:56:06) was third female. Wesley Atkinson kept his central PA trailrunning streak going finishing first overall in 3:39:49. Atkinson also won the Hyner 50k and Worlds End 100k earlier in the year. Eric Kosek, two weeks removed from his Tahoe 200 finish, finished second in 4:04:35. Joshus Ely was third in 4:07:57. Ultra Pirineu takes place this weekend too. There are some top-level trail runners on the starting list for the main 110 km race, such as Pau Capell, Julien Chorier, Cristofer Clemente, Dmitri Mityaev and Magdalena Łączak. I believe Padraig Mullins is from Cork, Ireland, although he seems to have done a fair bit of racing in the States.